Wrestling Observer Live with Mike Sempervive is back today talking all of the fallout from last night’s Elimination Chamber pay-per-view, focusing on the stories of Ronda Rousey, Roman Reigns, and Braun Strowman, how it affects WrestleMania, Raw, plus your calls, tweets, and more. A fun show as always, so check it out~! 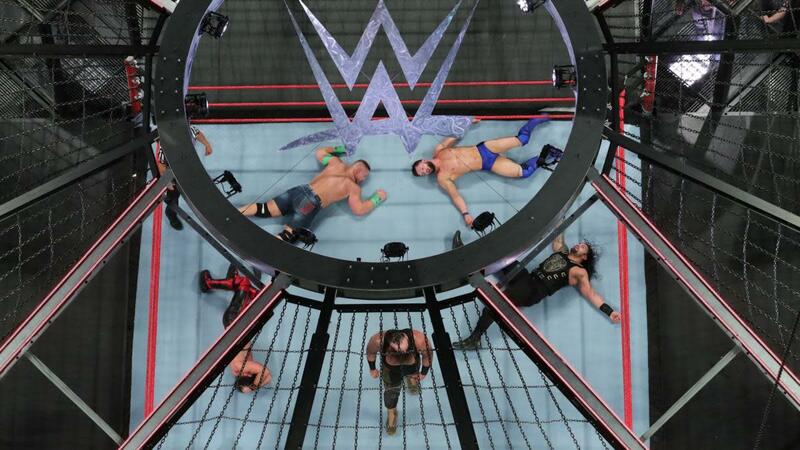 Mike goes into general discussion about last night’s Elimination Chamber as well as what could happen tonight on Raw. A caller talks about the Women’s Elimination Chamber match as Mike talks about the match and what went down. Jarrius "JJ" Robertson is being inducted into the WWE Hall of Fame this year as part of the Warrior Legacy award. Mike talks about his story. A caller asks about John Cena’s promo on Raw Talk, and how the story of him not having a clear path to WrestleMania is kind of a silly story. Others talk about MMA fighters disparaging pro wrestlers, Nia Jax, and how some on the main roster have the presence, but not the work. Calls and discussion after the break include discussion on Ronda Rousey’s performance at Elimination Chamber, Asuka and Nia Jax, Braun Strowman and possible programs following Elimination Chamber and beach balls.